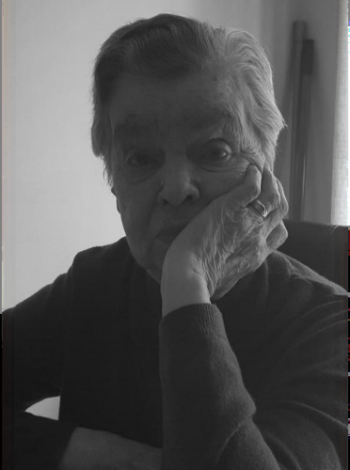 Passed peacefully away surrounded by her loving family at St. Clare’s Mercy Hospital on Wednesday, August 3rd, 2016, Elta Ella Norman (nee George), aged 83 years. Predeceased by her husband Patrick, sister Edith Osmond, and her mother Dorothy George. Left with fond and loving memories are her daughters Marilyn Thurston, and Elaine (Rodney) Mayo; sons Wayne (Sharon), Rick (Crystal), Randy (Jodi), and Dean; brothers Lawrence (Jessie, deceased), Garfield (Grace, deceased) and Wallace; grandchildren Scott, Dale, Stephanie, Charmaine, Cassandra, Kimberly, Justin, Trevor, and Sarah; 15 greatgrandchildren; sisters-in-law Bernice and Theresa; brother-in-law Charl; numerous nieces and nephews, and a large circle of family and friends. Special thanks to the nursing staff at St. Clare’s Mercy Hospital 7W. Resting at Carnell’s Funeral Home, 329 Freshwater Road. The family will accept visitor’s on Thursday, August 4th, 2016 from 2 – 4 p.m & 7- 9 p.m, and Friday, August 5th, 2016 from 2 – 4 p.m and 7 – 9 p.m. A funeral service will be held on Saturday, August 6th, 2016 at 10 a.m in The Carnell Memorial Chapel, with interment to follow in the Holy Sepulchre Cemetery. Flowers gratefully accepted, or donations in Elta’s memory may be made to the Janeway Children’s Hospital. Elaine, My sincerest condolences to you and your family. Thinking back to all of the fond memories we share together as one big family on Cole Place. Thoughts and Prayers during this sad time. Sorry for your loss. You and your family are in my thoughts and prayers. We are very sorry Marilyn and family. Take care of each other. That’s all you have. I am glad she got to see her son before passing. You will give each other strength to get through this. There’s really nothing anyone can say to make it better. Just know you are thought of and supported. Hugs and kisses. Dean we are sorry to hear about your loss. Out thoughts and prayers are with you and your family. So sorry to hear of your Mom’s passing. Know that she is at peace now with no more pain or suffering. May the many memories you have help you through this difficult time. Thinking of you all at this difficult time. To all of the Norman Family. So sorry to hear the news about Aunt Elta. Thinking about you during this sad time. Dad thought the world of her and always spoke of their phone conversations. He also enjoyed the times that she came in and stayed at the cabin. Hang on to your great memories. Sorry that we could not be with you and this time, however, our thoughts are with you. Garfield George and family..
Randy and family, so sorry for your loss. Thinking of you all during this time. A beautiful soul has gotten her wings and will watch over all of you forever. Elaine, Stephanie, Marilyn and family, So sorry for your loss. May you treasure the memories yuh had with her. Remember, she is just away, she is at peace and with the one she loved. She is no longer suffering. Thinking of you all and praying that God will give you strength.